We're getting more and more details about the HTC Dream, the purported first Android Device, and it's looking pretty good. 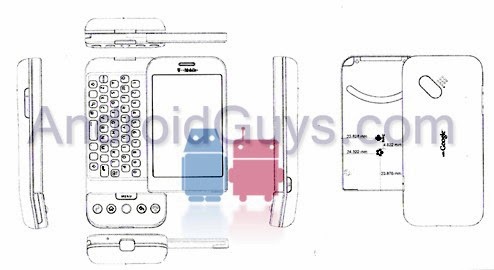 As you can see in this rendering of the HTC Dream (via AndroidGuys), a full slide out QWERTY keyboard is included a long with a few standard 'home' buttons. The big screen is reportedly a touch screen so the HTC Dream looks to be a highly versatile device. In these engineering pictures, the device looks like it curves up in the 'chin' area which we're not positive would feel comfortable in your pocket. Also, the thickness is a bit ambiguous at this point because we have nothing to compare it to. So though there is some concern, all in all, the HTC Dream is shaping out to be a solid looking device.